Spring is on the way! 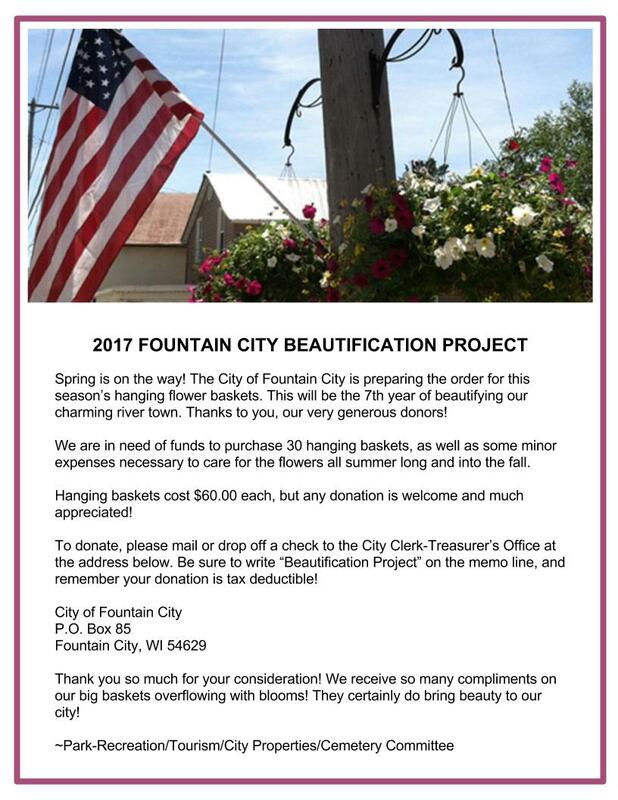 The City of Fountain City is preparing the order for this season’s hanging flower baskets. This will be the 7th year of beautifying our charming river town. Thanks to you, our very generous donors! Please consider making a tax deductible donation. Basket’s cost $60 but any amount given is truly appreciated.